Phew! 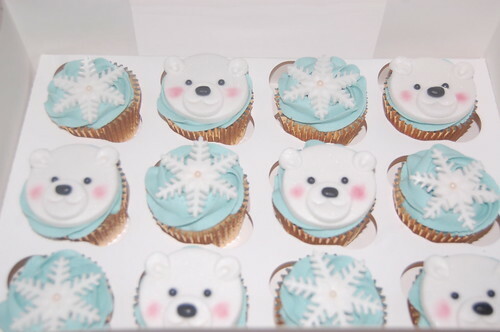 This one was quite a project – including 4 lamas, 6 ponies, 6 guinea pigs, a labrador and the birthday girl herself! 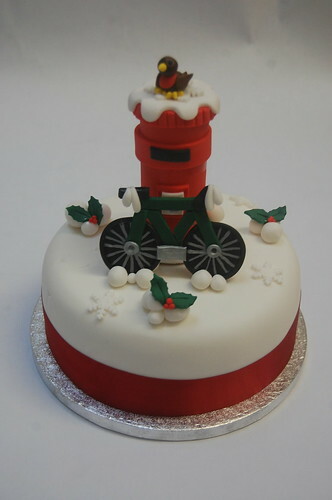 The Equestrian Assisted Learning Cake – from £120. 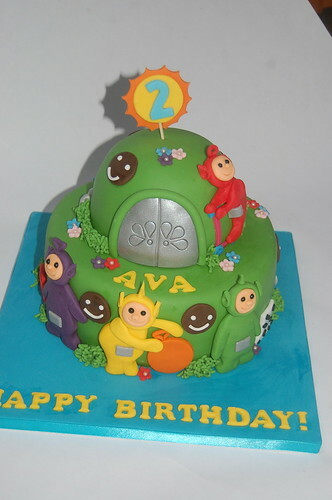 We have previously made this cake as a Baby Shower Cake, but think it works excellently as a Birthday Cake, too! 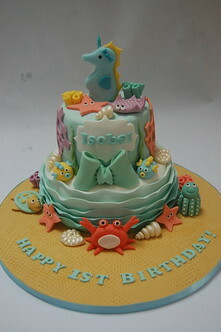 The Under the Sea Cake – from £90. 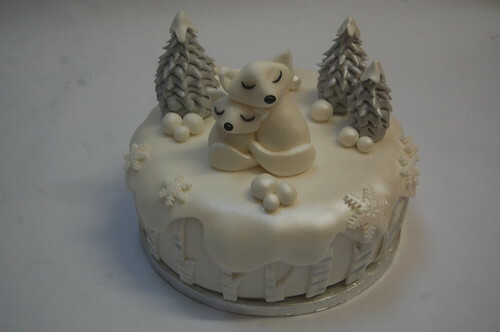 We have to admit to never having seen this film, but were mighty pleased with the result of this incredibly cute and pretty cake! 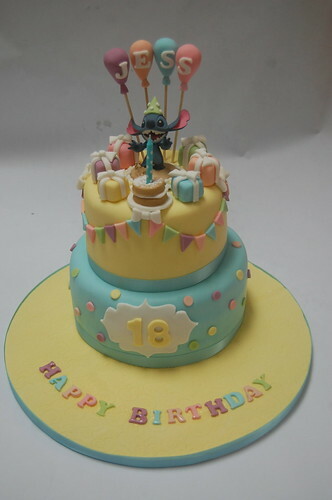 The Lilo and Stitch Cake – from £100. 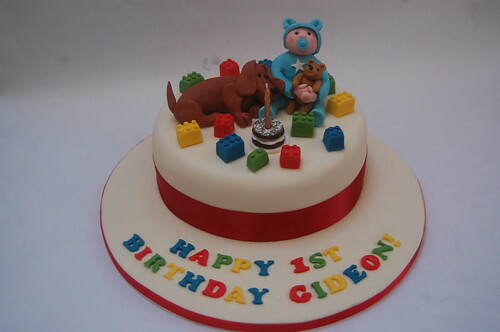 We designed this cake for a Duplo-loving baby who shares his first birthday with the dog! 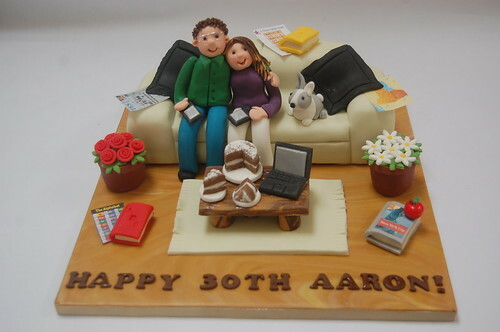 The Baby, Dog and Duplo Cake – from £75. 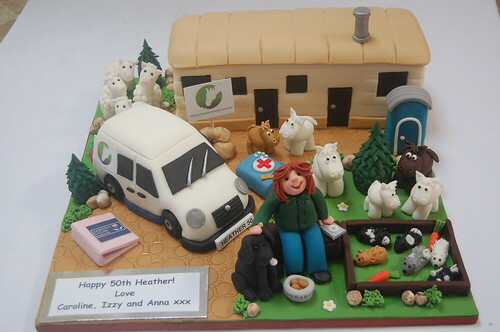 Featuring her beloved pets and camper van, this was a special commission for a district nurse’s 60th birthday. 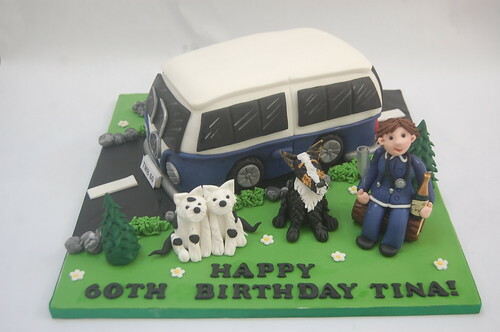 Tina’s Camper Van Cake – from £100.